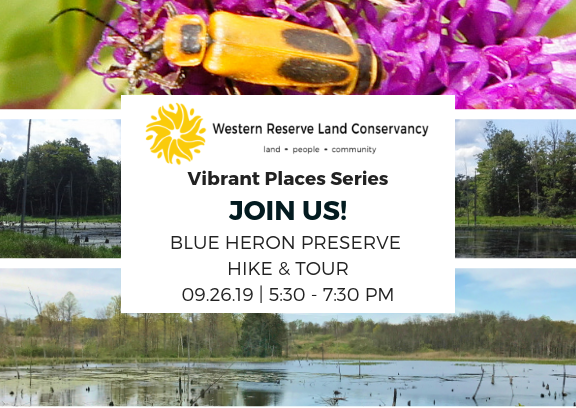 Join Western Reserve Land Conservancy for a hike at the beautiful Blue Heron Preserve! Once a sand and gravel quarry, Western Reserve Land Conservancy is in the process of reclaiming and transforming this 106-acre property into a spectacular nature preserve. Located within the Cuyahoga River watershed and contains a 27-acre high-quality wetland that hosts a variety of native species as well as a naturally-occurring open water wetland that appears to have been formed by glacial activity. The property has been characterized as a hemlock swamp forest, one of the only known locations of this habitat type in Geauga County. Join us as we explore this beautiful land that has been conserved forever! Food and drinks will be provided following the hike. Beer is generously provided by Great Lakes Brewing Company. Registration is limited to 50 people. Please register below to reserve your spot. 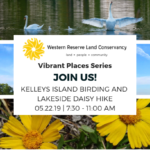 Join us for a Kelleys Island lakeside daisy and birding hike! 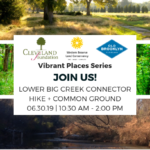 Join us as we partner with the Cleveland Foundation and Old Brooklyn Community Development Corporation to host a Common Ground conversation and a hike on one of our conserved properties!